Teflon Archives - Ontario Hose Specialties Limited. Bioflex is a smooth bore, highly flexible PTFE lined hose. 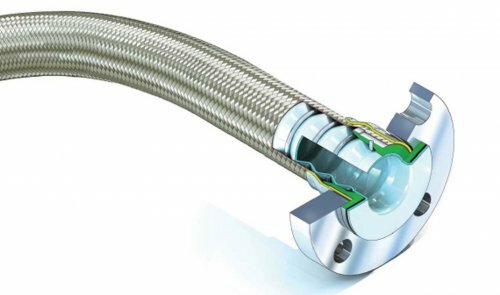 Bioflex is designed to overcome the traditional disadvantage of a smooth bore PTFE hose, lack of flexibility. Bioflex Ultra is used in biopharm, chemical manufacturing and research facilities, and food and drink processing plants all over the world. 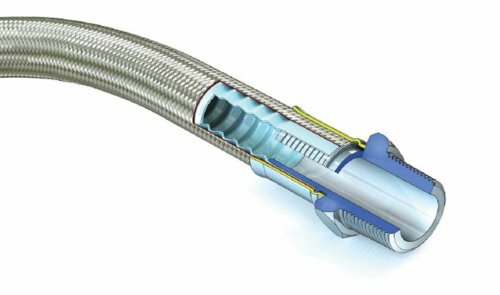 Corroflon is the general purpose grade of hose and been designed to satisfy the widest range of applications. 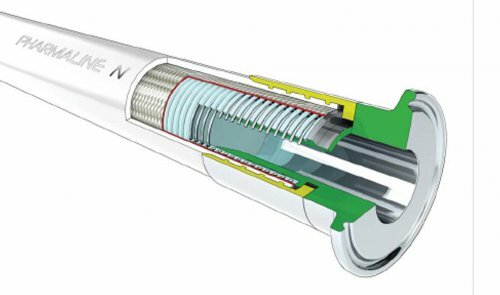 The PTFE liner in Corroflon has shallow convolutions which minimise the restriction in flow rates, and an external reinforcement wire in the external convolutions provides full vacuum resistance and kink resistance. Pharmaline N&X is designed to replace conventional silicone rubber hoses. This is due to improved autoclave life cycle, chemical resistance and internal clean-ability. 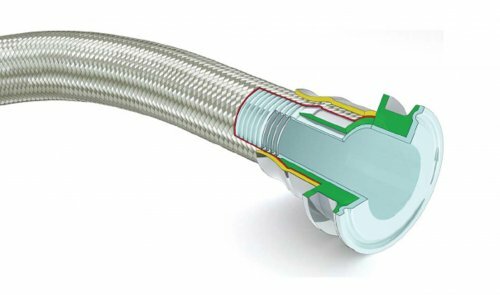 Visiflon is a fully convoluted PTFE lined hose. Used in applications where extreme flexibility is required and convoluted bore will not be a disadvantage. Available with stainless steel wire braid.